Create a personalized catalogue of fixed assets and its components. Define what is considered a cost and an asset. Define the lettering criteria (assets labelling). Brand, model and serial number. Main technical characteristics and description of its component parts. Assets and its component useful life elapsed and remain. The assets physical identification is carried out with metallic or polyester tags. The bar code facilitates the future assets control. Reclassification between accounts and/or locations. 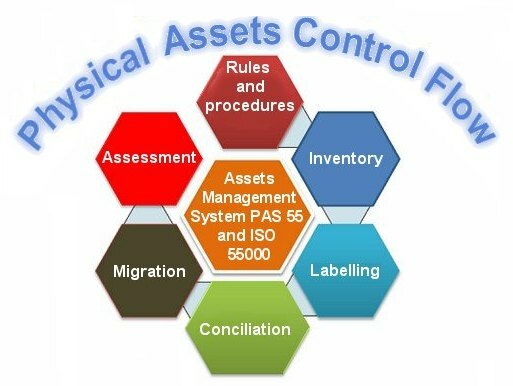 We set the parameters of the data base of your fixed assets for its migration or updating to ERP systems. To have a real measurement of the assets for the company commercial operations, acquisitions, fusion, or sales. Achieve a better insurance cover. We help you to manage your assets under the standard ISO 55000.